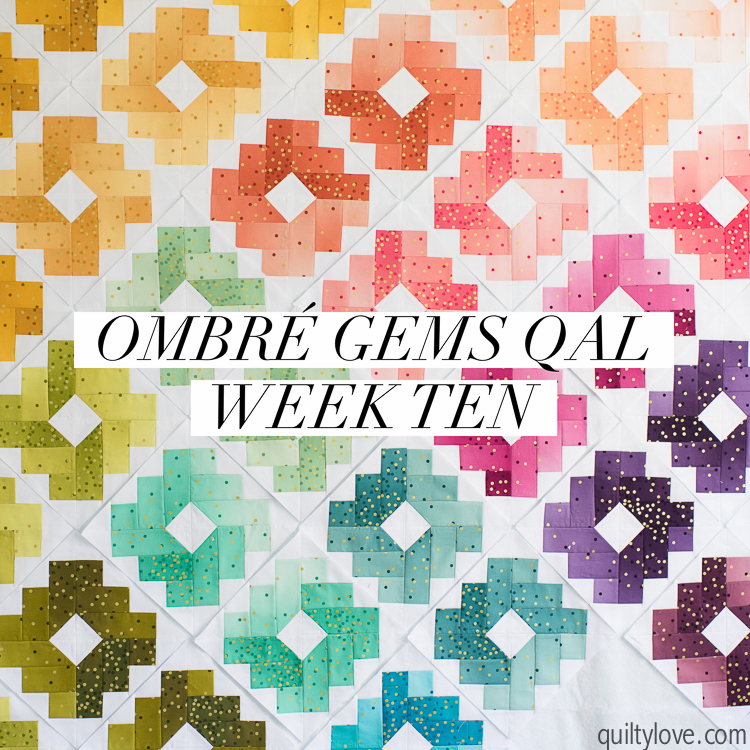 Welcome to week ten of the Ombre Gems quilt along! Welcome to the very last week of the quilt along! This week we are sewing quilt tops together :) There are already so many beautiful quilt tops popping up on Instagram. I’m so proud of you guys for sticking this one out and finishing up those quilt tops! If you are still working on blocks, keep going! I’m sure you will have plenty of company in the hashtag. If you are running out of steam for this quilt, you can always call it good with the smaller version using way less blocks. Don’t forget about the quilting special with Knot and Thread! See those details below. 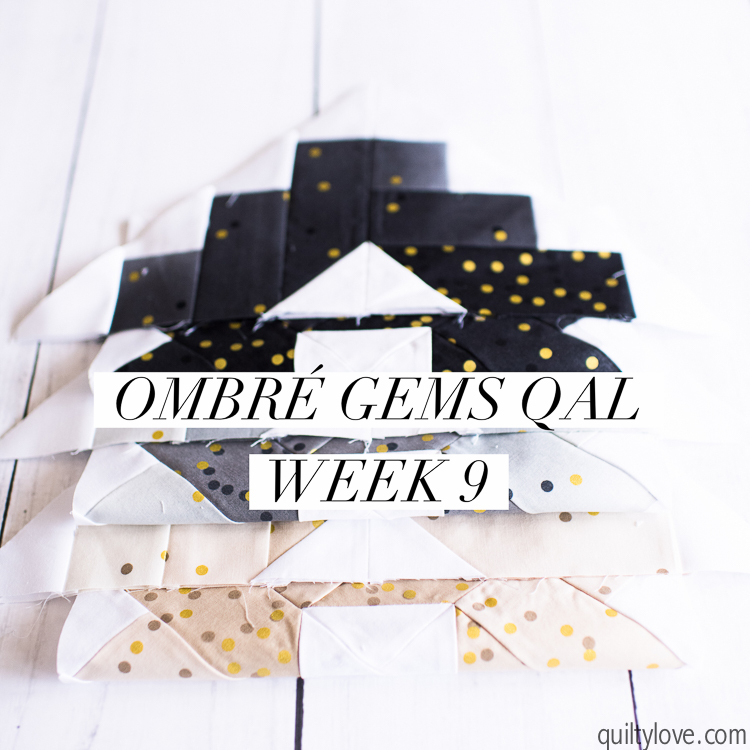 Welcome to week nine of the Ombre Gems quilt along! It’s the last week of making blocks for the Ombre Gems Quilt Along! We are making the last three colors this week. Wooohooooo!! I’ve been so impressed by how many of you have stayed up to date on this quilt along. It’s been so fun to see those colorful blocks getting made. Welcome to week eight of the Ombre Gems quilt along! We are getting near the end of this colorful quilt along! Back to making 6 blocks this week. If you are making the smaller version I meant to have you make blocks last week instead of having a catch up week so the schedule changes a bit for the next two weeks for you. A lot of you are asking about backing suggestions. Scroll on down for those! 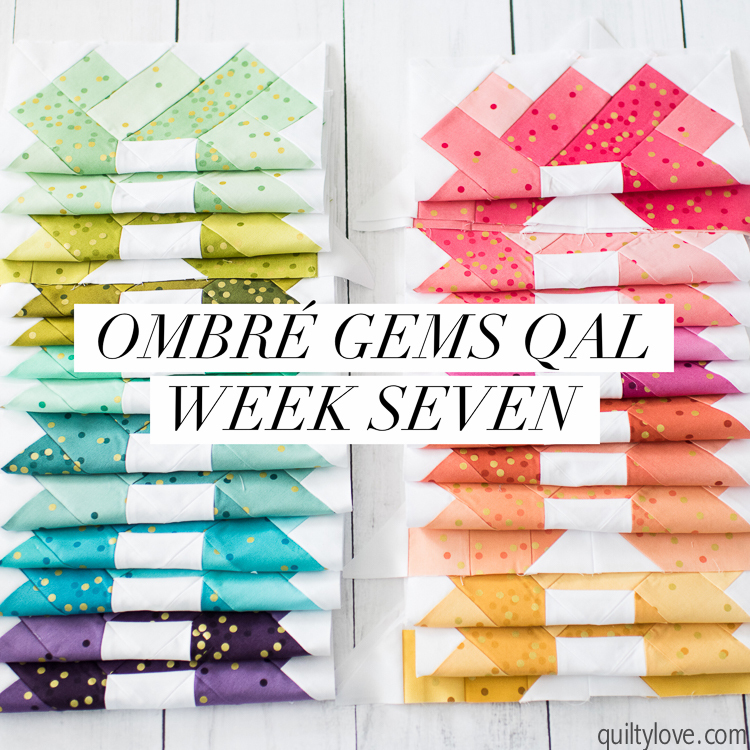 Welcome to week seven of the Ombre Gems quilt along! 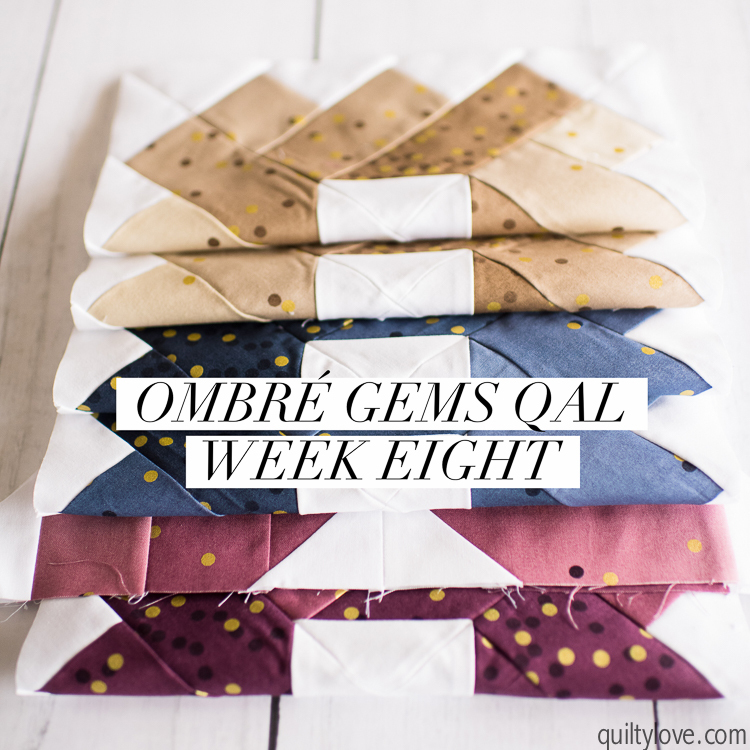 It’s a catch up week for the Ombre Gems quilt along! There are a ton of blocks in this quilt so I thought a catch up week might be a good idea for those of you falling a little behind.